Lynda Francis. Photo courtesy Facebook. 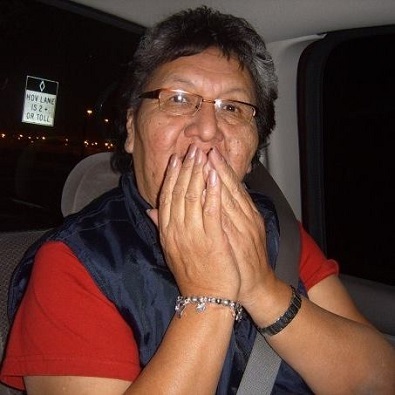 The community of Carry the Kettle First Nation is mourning the loss of someone many have described as a kokum and auntie to everyone. Several people have taken to social media to pour out their love and admiration for Lynda Francis, who tragically passed away after a car accident earlier this week. Many described Francs is a “beautiful soul” and a “pillar of the community.” She sat on several boards on the reserve. “My community, relatives and friends mourn a beautiful soul,” wrote Desaraw Eashappie in another Facebook post. The 69-year-old passed away after a single vehicle accident south of Aylesbury on Monday afternoon. The 66-year-old male driver was transported to hospital as well. The RCMP continue to investigate the collision.